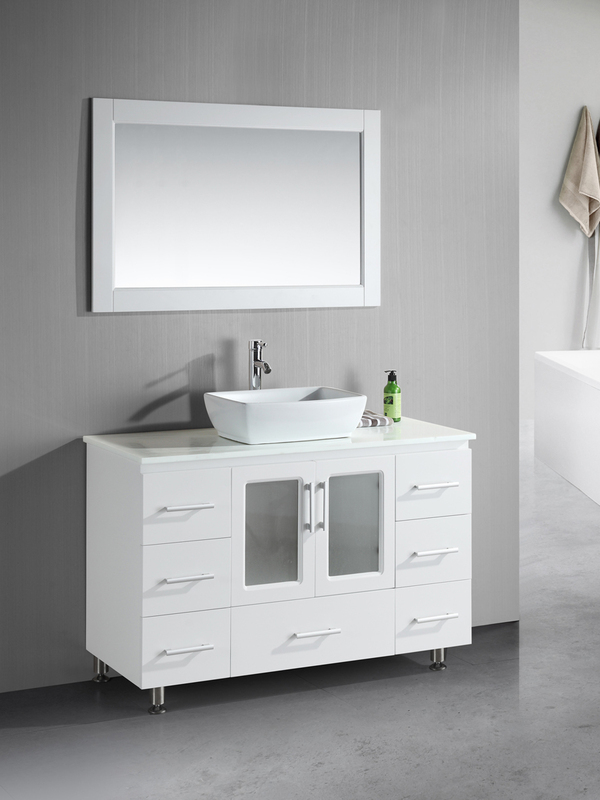 Reinvent your bathroom with the 48" Stanton Single Vessel Sink Vanity. Combining a rectangular porcelain vessel sink with a stone counter top, this vanity also boasts a White finished cabinet constructed from solid oak. For storage, the Stanton offers seven soft-closing drawers and a double-door cabinet. The cabinet features frosted glass inserts and are equipped with soft-closing hinges. 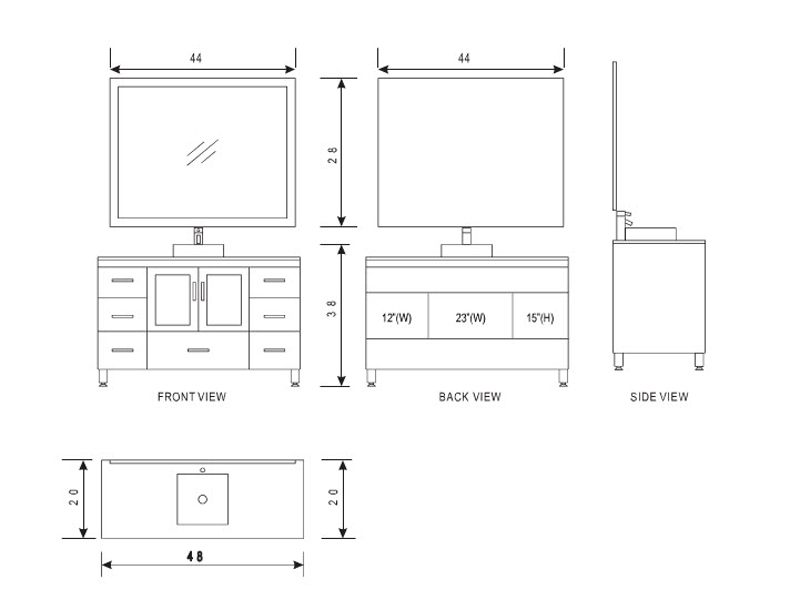 Satin Nickel hardware adorns each of the drawer fronts and cabinet doors. 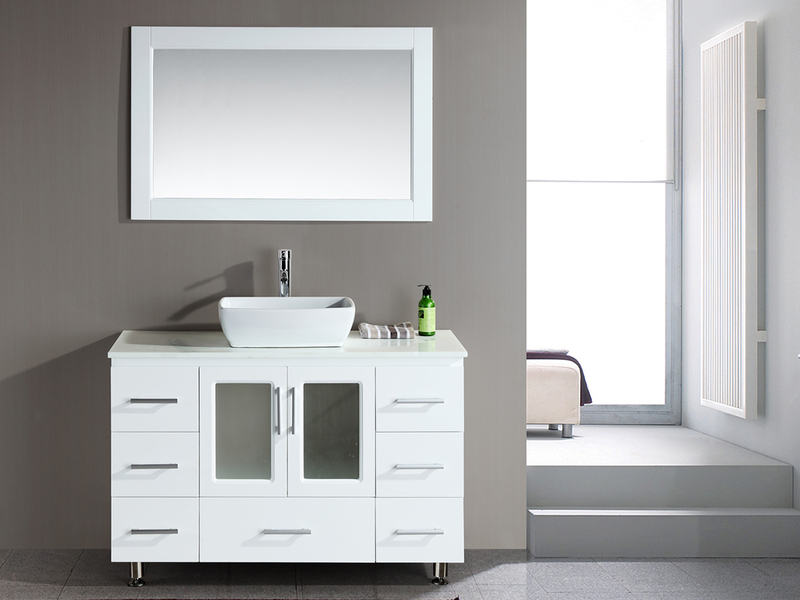 A framed mirror and pop-up drain also comes with the Stanton Vanity.